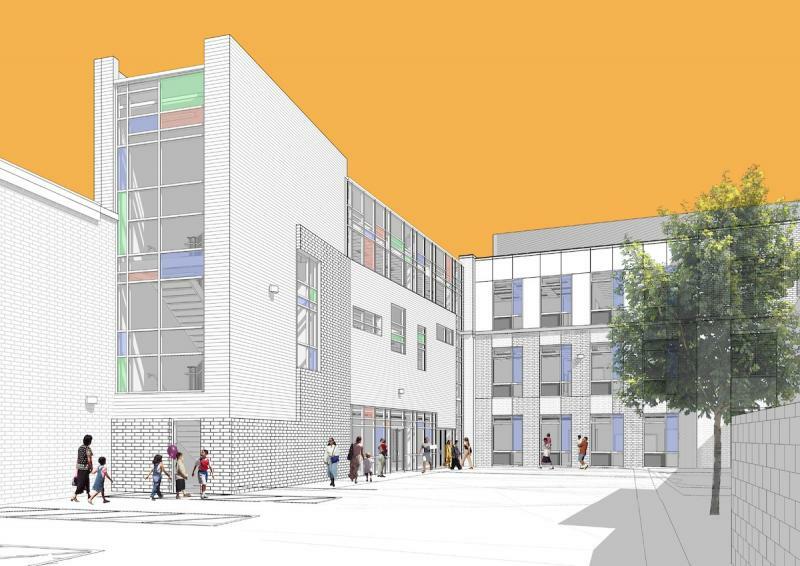 * Passaic Central Avenue Elementary School; Passaic, NJ - exterior rendering. Copyright 2017 Weston Architecture LLC. All rights reserved.